Lingfield Park stages two Fast-Track Qualifiers this Saturday, February 2 in the £45,000 Listed Betway Cleves Stakes (1.45pm, 11 entries) and the £45,000 Listed Betway Winter Derby Trial (2.55pm, 16 entries). The £45,000 Listed Betway Cleves Stakes takes place over six furlongs on Polytrack and is a Fast-Track Qualifier for the £150,000 Betway All-Weather Sprint Championship over the same distance at Lingfield Park on £1-million All-Weather Championships Finals Day, Good Friday, April 19. Heading the 11 entries is Kachy (Tom Dascombe, 6/4 favourite with Betway). The six-year-old captured the Betway Cleves Stakes in 2018 before going to take second behind City Light in the Betway All-Weather Sprint Championship on Good Friday. On his only start of this season's All-Weather Championships, Kachy broke the track record when storming to a six-length victory in a conditions race over six furlongs on Tapeta at Wolverhampton on Boxing Day. Cheshire-based Tom Dascombe reported today: "Kachy is in good form and he came out of his win at Wolverhampton in good form. "We were delighted with his Wolverhampton victory - it was a good performance and all has been well since. "We need to run him again before Finals Day in order to quality because he must either win a Fast-Track qualifier or run at least another twice. "The plan is to go for the Cleves Stakes at Lingfield on Saturday and we are looking forward to running." Nine-year-old Lancelot Du Lac (Dean Ivory, 7/1) won the Betway Cleves Stakes in 2017, but has not been seen out since September. The Doreen Tabor-owned seven-year-old Cenotaph (Jeremy Noseda, 9/2) , who started his career with Aidan O'Brien in Ireland, won on three of his four All-Weather starts in 2018, including a very valuable seven-furlong handicap on Polytrack at Chelmsford City and is set to be ridden by Ryan Moore. Corinthia Knight (Archie Watson, 4/1) landed the six-furlong Ladbrokes Three-Year-Old All-Weather Championship in 2018 and is an eight-time All-Weather winner. Mokarris (Simon Crisford, 13/2) was a very useful two-year-old in 2016, when he finished runner-up in the G2 Gimcrack Stakes at York, but has not been seen out since May, 2017. Stone Of Destiny (Andrew Balding, 7/1) showed signs of a return to form in a Fast-Track Qualifier on Tapeta at Newcastle on January 22, when a close third to Encore D'Or. His best effort of 2018 came when fourth in the G1 Commonwealth Cup on turf at Royal Ascot. Staged over the same 10-furlong distance as the £100,000 G3 Betway Winter Derby (Saturday, February 23), 15 of the 16 entries for Saturday's £45,000 Listed Betway Winter Derby Trial are also engaged in the Betway Winter Derby. The Betway Winter Derby Trial is a Fast-Track Qualifier for the £200,000 Betway Easter Classic, also over 10 furlongs on Polytrack at Lingfield Park on £1-million All-Weather Championships Finals Day, Good Friday, April 19. Heading the possible starters on Saturday is the 117-rated Wissahickon (John Gosden, 8//11 favourite with Betway), who was last seen when comfortably defeating Big Country (Mick Appleby, 7/2) by two and a quarter lengths in the Betway Quebec Stakes over the course and distance on December 22. Owned and bred by George Strawbridge, the four-year-old Wissahickon has won six of his eight starts and is four from five on All-Weather surfaces. His biggest turf success came in the Cambridgeshire Heritage Handicap at Newmarket in September. Strawbridge and Gosden combined to win the Betway Winter Derby Trial in 2018 with Utmost. John Gosden could also be represented by Court House (5/1). 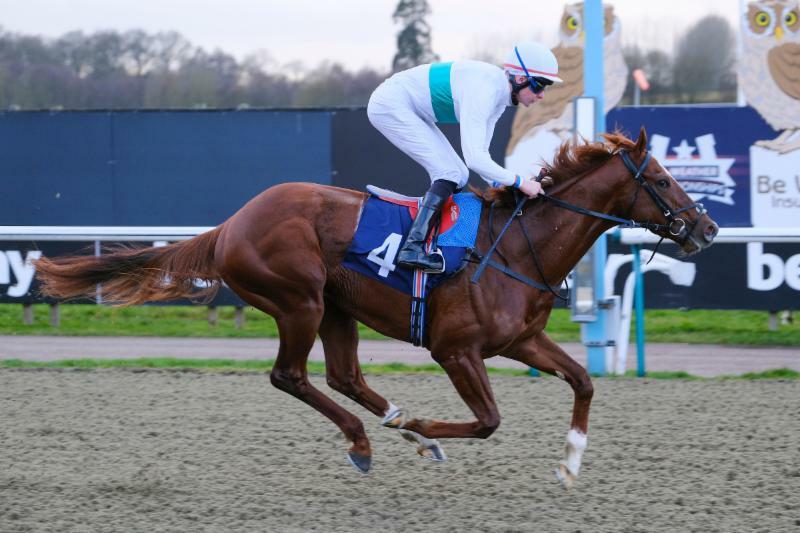 The Princess Haya of Jordan-owned four-year-old was last seen when taking a 12-furlong conditions event at Lingfield Park on January 9. Unexposed four-year-old Matterhorn (Mark Johnston, 25/1) could step into Pattern company for the first time after reeling off a hat-trick of All-Weather handicap wins. Owned by Sheikh Hamdan bin Mohammed Al Maktoum, Matterhorn proved himself over 10 furlongs last time out when taking a handicap in good style at Lingfield Park on January 5. 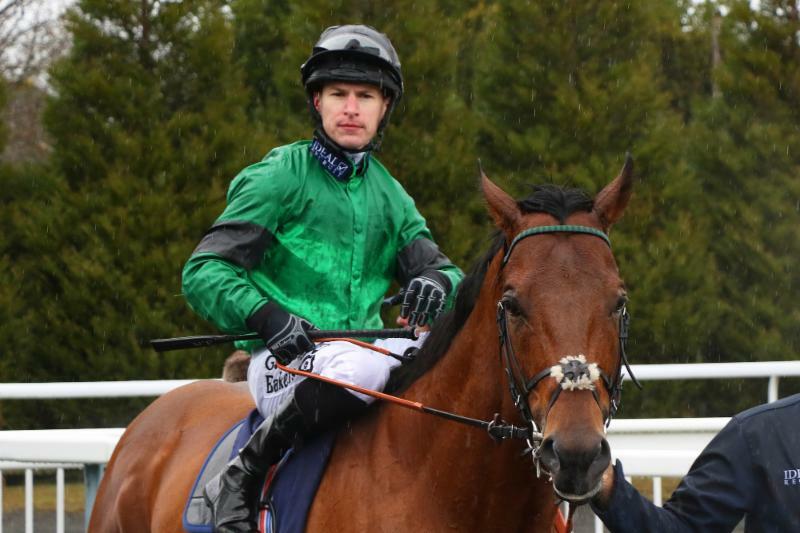 That came on the back of mile handicap successes at Lingfield Park and on the Fibresand at Southwell in December. Matterhorn did not make his debut until October and his record now stands at four wins from six starts. Charlie Johnston, assistant his father Mark, said: "Matterhorn is entered in both the Winter Derby Trial and Winter Derby and we will decide if he runs on Saturday later in the week. "He has had a fantastic winter so far, improving from a mark of 80 to 99. We are fully aware that he is going to have to improve some more to be up to this sort of level, but he is a horse an upward curve and we don't quite know how much improvement is left to come. "He is a horse we have always liked. He had an injury early on as a two-year-old, which kept him out and then reared its head again midway through his three-year-old year. We would not have persevered with him for as long as we did if we did not think there was ability there. "Once you get up to his sort of rating, opportunities on the All-Weather become few and far between. I am slightly worried that he has got a rating of 99 from winning some pretty moderate races, but he can do no more than beat what is put in front of him." There is the possibility of international representation in Saturday's contest, with entries from France and Ireland. In The Lope (Pia Brandt FR, 28//1) is a dual Polytrack winner in France and ran well on his one previous visit to Lingfield Park when fourth in the 2017 Listed Betway Churchill Stakes, staged over the same distance as Saturday's contest. Ming (Joseph O'Brien IRE, 9/2), a winner on Polytrack on debut at Dundalk in April last year, was last seen when fifth the local Q1 Qatar Derby at Doha, Qatar in December. Pactolus (Stuart Williams, 7/1) is now an eight-year-old, but is in the form of his life, winning on his latest two outings. His most recent success at Lingfield Park on January 23 saw him defy top-weight in a 10-furlong handicap. The G2 scorer Hathal (Jamie Osborne, 9/2) got back to winning ways over an extended nine furlongs on Tapeta at Wolverhampton on January 7, while the Jeff Smith-owned Dash Of Spice (David Elsworth, 9/2) won a maiden over Saturday's course and distance in December, 2017, before going on to take the Duke of Edinburgh Handicap over 12 furlongs at Royal Ascot. The seven-race programme at Lingfield Park on Saturday, February 2, runs from 12.35pm through to 4.05pm.